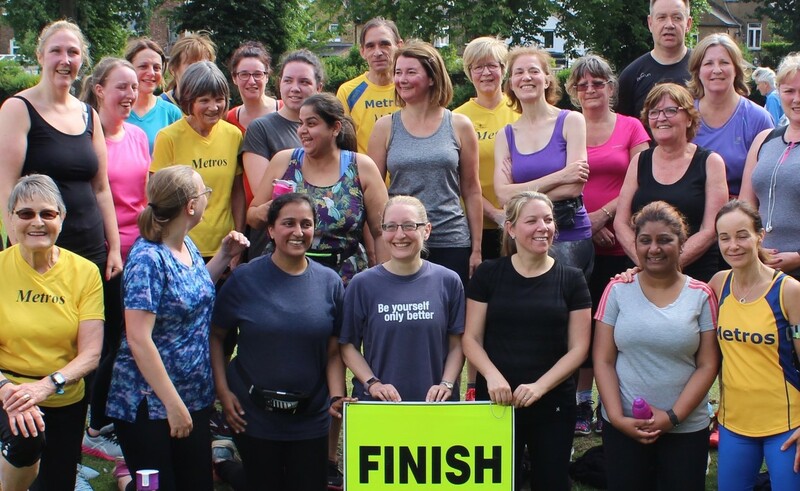 Metros is a road-running club that supports the running aspirations of people of all ages and abilities. From non-participating but interested supporters to highly competitive, county standard athletes, children, beginners of all ages, occasional joggers and dedicated marathoners. All are welcome and have found a home with Metros. We welcome second claim members who, through the club, will have access to a greater range of events. Metros training sessions are held on Mondays, Tuesdays, Wednesdays, Thursdays and Saturdays. Find out full details of times and locations here. From committee meetings to marathons, barn dances to barbecues, you’ll find all the info you need here for both running and social events. This section is for current members of Metros. You’ll need to log in to access the information here. If you’d like to become a member, please visit this page. Thank you. A key fixture in the Metros diary, the Harrow Hill 10K starts and finishes within the playing fields of Harrow School and sends runners up the notorious Football Lane. Are you up for the challenge? Results of past events can be found here. All you need to know about Metros is here. Runners of all abilities are welcome! Thinking of joining Metros? Apply for membership here. We look forward to welcoming you! Get in touch – we’d love to hear from you. Whether you’ve got a query about membership, want to know more about our events or anything else, you’ll find all our contact details here.